When Europeans first settled in the Port Phillip district, they saw a landscape which looked vastly different to that we see today. But that landscape itself was a result of long processes of change, some of which had been going on for hundreds of thousands of years. There is some evidence to show that people were living in the Maribyrnong River [sic] valley, near present-day Keilor, about 40,000 years ago. Since that time there have been enormous changes to the landscape – all of which Koories [sic] must have witnessed and lived through. Many of the most spectacular and significant changes to the countryside have been to the Maribyrnong-Yarra River system. Ten thousand years ago the valley of the Yarra River was more than thirty-five metres deeper than it is today and the river flowed at the bottom of a deep canyon. At that time the world’s sea level was considerably lower because a great deal of water was locked up in the ice sheets covering Europe. So there was no water in Port Phillip Bay, and instead of flowing through the flat land in West Melbourne the Yarra turned to the south and flowed down the eastern side of a large grassy plain. At this time the Maribyrnong River flowed more directly to the south east and joined up with the Yarra near what is now Williamstown. In the long period that Koories have lived in the Melbourne area, the Maribyrnong and Yarra River system has deposited a great deal of mud and silt in the river valleys, and as a result the ground level has been raised by hundreds of metres. From about 10,000 years ago, the sea started to rise, as the Ice Age came to an end. As the ice sheets in the northern hemisphere melted, the water flowed back into the sea and the level slowly rose. By about 8,500 years ago Bass Strait was flooded, and the gradually-rising sea had reached Port Phillip Heads and began to fill the area of Port Phillip. The sea continued to rise until about 7,000 years ago, by which time the level of water in the Bay was much higher than it is today. The top of the Bay then stretched as far north as Flemington and water covered the area of Flemington Racecourse and many of the inner city areas such as the lower parts of West Melbourne, Port and South Melbourne, and St Kilda. At this time Footscray was a beach-side area and the Maribyrnong River was affected by tides as far north as Braybrook. When Europeans first arrived, they were attracted by the sweeping grasslands to the west of the Maribyrnong River. The wide volcanic plain, the edge of which is now covered by the western suburbs, presented rich pastures for the colonists’ sheep. There was a thick covering of native grasses, with a few trees growing along the major water courses, such as Kororoit Creek. Saw nothing but grassy country, open forest, plenty gum and wild cherry. Saw where the natives had encamped, plenty of trees notched where they had climbed for opossums …. There are herds of forest kangaroo immensely large, a short distance from the settlement, also flocks of emus on the western plains fifty and sixty in a drove …. The country through which I travelled to the Salt Water (Maribyrnong) River had a park-like appearance, kangaroo grass being the principal, the trees she-oak, wattle, honeysuckle. Saw a blue flower, thorny appearance. Numerous old native huts. Maribyrnong River, Sunrise. 15 July 2017. 1226: The Roman church’s practice of the public adoration of the Blessed Sacrament outside of Mass spreads from monasteries to parishes. The Catholics are starting to go all soft. 1297: Scottish patriot William Wallace defeated Edward I’s pommie army at Stirling Bridge. Apparently, it happened just like in the movie, except that it was in black and white because it was the olden days. 1814: The poms take another beating, this time at the hand of an American fleet in the Battle of Lake Champlain. ‘Those bloody colonies are simply not towing the line’, it was reported. 1863: Bushranger Captain Thunderbolt escapes from the supposedly escape-proof Cockatoo Island gaol. Three cheers for Captain Thunderbolt! 1885: D. H. Lawrence was born in Eastwood, England. Thank you Eastwood in England. 1893: The inaugural meeting of the Parliament of the World’s Religions. Seems like a whacko concept to me. 1900–2099: New Year’s Day in the Coptic and Ethiopian calendars. Happy new year to brothers and sisters, many of whom do life in massive travail. 1916: The first time that ‘Star Spangled Banner’ was sung at the beginning of a baseball game. Nationalism and sport – who would have thought? ‘And where is that band who so vauntingly swore/That the havoc of war and the battle’s confusion/A home and a country, should leave us no more?’ Go the Red Sox! 1928: The first trans-Tasman flight, and it only took them 14 hours 25 minutes. Virgin Australia Airlines could learn a lot from Charles Kingsford Smith and Charles Ulm. 1962: The Beatles recorded their first singles, ‘Love Me Do’ and ‘P.S. I Love You’, at EMI studios in London. 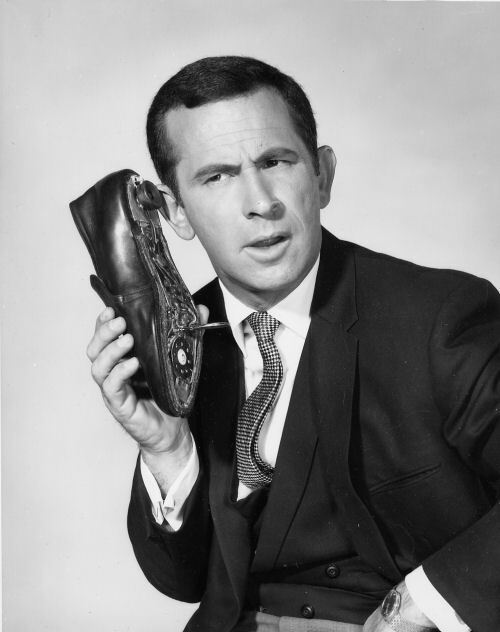 1970: The final episode of ‘Get Smart’ aired on CBS-TV. So grateful for re-runs. I spent the first 8 years of my life talking to my shoes. 1973: Chilean President Salvador Allende, who was the world’s first democratically-elected Marxist head of state, died in a violent CIA-backed military coup. 1974: ‘Little House On The Prairie’ made its television debut. Tragic but true. 1977: Steven Biko died in police custody. Tragic but true. 1977: David Bowie and Bing Crosby recorded a duet version of ‘The Little Drummer Boy’. This is not looking good for music, folks. The next decade could be a real disaster on the pop music front. 1997: The Scots, the Lord’s beloved, voted to create their own Parliament after 290 years of union with the poms. Now finish the job boys! 2000: The beginning of the S11 protests against the World Economic Forum’s meetings in Melbourne. 2013: Jason had a bowl of dahl and a very large mug of coffee for breakfast. Ambrie had a bowl of muesli and a big cup of milk. Father and daughter are both doing well. 21 June, 2013 21 June, 2013 by Jason Goroncy4 Comments on Jobs for historians? – yeah right! 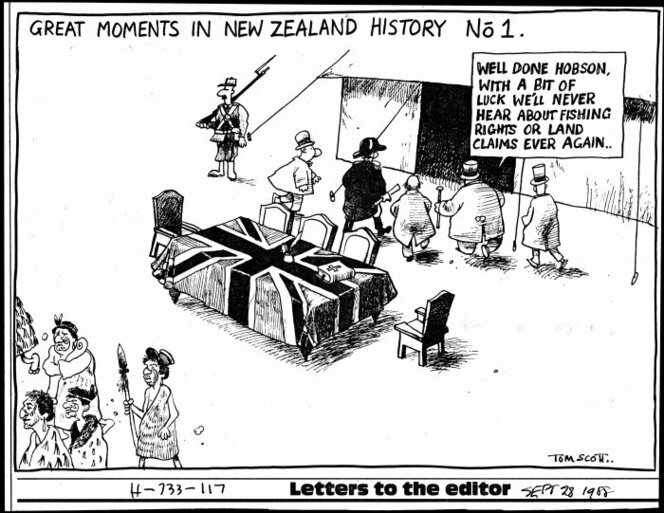 … that’s what I thought, but it seems that the Waitangi Tribunal, a permanent commission of inquiry that researches and reports on claims submitted by Māori under the Treaty of Waitangi Act 1975, is serious about seeking to appoint two historians and one senior historian. Information on the historian positions, including the job description and application form and process, is available here. Applications close 19 July. Information on the senior historian position, including the job description and application form and process, is available here. Applications close 10 July. Should you require any further information, please email Jonathan West. On the subject of conferences, registrations for the ‘”Tikkun Olam” – to mend the world’ conference and exhibition are now open. This is shaping up to be a really exciting event. ‘It was the best of times, it was the worst of times, it was the age of wisdom, it was the age of foolishness, it was the epoch of belief, it was the epoch of incredulity, it was the season of Light, it was the season of Darkness, it was the spring of hope, it was the winter of despair, we had everything before us, we had nothing before us, we were all going direct to heaven, we were all going direct the other way – in short, the period was so far like the present period, that some of its noisiest authorities insisted on its being received, for good or for evil, in the superlative degree of comparison only’. – Charles Dickens, A Tale of Two Cities. Atonement: The Person and Work of Christ by T.F. Torrance (2009). The Theology of Food: Eating and the Eucharist by Angel F. Mendez Montoya (2009). Thomas F. Torrance: Theologian of the Trinity by Paul D. Molnar (2009). Christ the Key by Kathryn Tanner. The Difference Heaven Makes: Rehearing the Gospel As News by Christopher Morse. On Being a Disciple of the Crucified Nazarene: Unpublished Lectures and Sermons by Ernst Käsemann. An Alien in a Strange Land: Theology in the Life of William Stringfellow by Anthony Dancer. Hannah’s Child: A Theologian’s Memoir by Stanley Hauerwas. Dietrich Bonhoeffer 1906–1945: Martyr, Thinker, Man of Resistance by Ferdinand Schlingensiepen. (For the record, I thought that Eric Metaxas’ ‘Bonhoeffer: Pastor, Martyr, Prophet, Spy was one of the most over-rated and poorly-reviewed books of the year. Clifford Green’s review, ‘Hijacking Bonhoeffer’, published in the Christian Century, 19 October 2010, pp. 34–9, is the review to read). 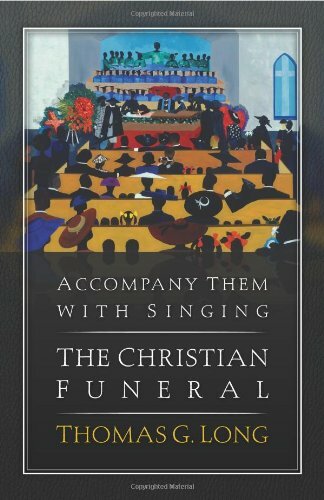 Accompany Them with Singing: The Christian Funeral by Thomas Long (2009). Concerning The True Care of Souls by Martin Bucer (2009). The Promise of Despair: The Way of the Cross as the Way of the Church by Andrew Root. The Resurrection of Ministry: Serving in the Hope of the Risen Lord by Andrew Purves. George Herbert’s Pastoral: New Essays on the Poet and Priest of Bemerton edited by Christopher Hodgkins. Christianity: The First Three Thousand Years by Diarmaid MacCulloch. A People Betrayed: The Role of the West in Rwanda’s Genocide by Linda Melvern. Encircled Lands: Te Urewera, 1820–1921 by Judith Binney. A Platter of Figs and Other Recipes by David Tanis (2008). Harvest to Heat: Cooking with America’s Best Chefs, Farmers, and Artisans by Darryl Estrine. In the Kitchen with A Good Appetite: 150 Recipes and Stories About the Food You Love by Melissa Clark. Anjum’s New Indian by Anjum Anand. Noma: Time and Place in Nordic Cuisine by René Redzepi. Angina Days: Selected Poems by Günter Eich. 1. 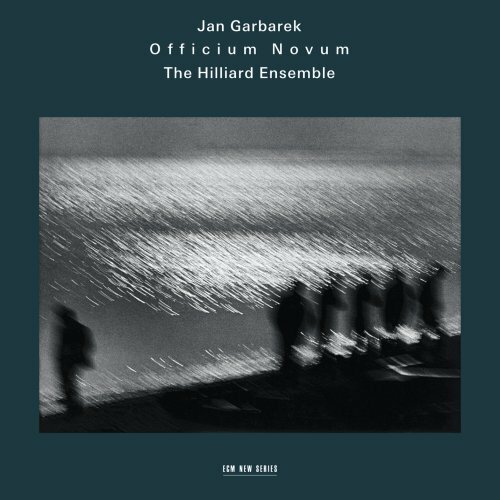 Officium Novum by Jan Garbarek & The Hilliard Ensemble. 2. The Age of Miracles by Mary-Chapin Carpenter. 3. Foundling by David Gray. 4. Scratch My Back by Peter Gabriel. 5. Sacrificium by Cecilia Bartoli. 6. Women and Country by Jakob Dylan. 7. 100 Miles From Memphis by Sheryl Crow. 8. Great and Small by Butterflyfish. 9. Downtown Church by Patty Griffin. 10. No Better Than This by John Mellencamp. Honorable mentions: All Delighted People by Sufjan Stevens; The Age of Adz by Sufjan Stevens; Leave Your Sleep by Natalie Merchant; Go by Jónsi; April Uprising by The John Butler Trio; The Promise by Bruce Springsteen; The Astounding Eyes of Rita by Anouar Brahem; American VI: Aint No Grave by Johnny Cash; San Patricio by The Chieftains & Ry Cooder; In Person & On Stage by John Prine; How I Learned to See in the Dark by Chris Pureka. My Son, My Son, What Have Ye Done?. Found (what we hope is) a great school for Sinead. Participated in the historic first meeting of the United General Council of the World Communion of Reformed Churches, in Grand Rapids. I went to my first, and possibly last, Leonard Cohen concert. I began journalling … again. I stopped wearing a watch. ‘I do not think that the life of Heaven bears any analogy to play or dance in respect of frivolity. I do think that while we are in this ‘valley of tears,’ cursed with labour, hemmed round with necessities, tripped up with frustrations, doomed to perpetual plannings, puzzlings, and anxieties, certain qualities that must belong to the celestial condition have no chance to get through, can project no image of themselves, except in activities which, for us here and now, are frivolous. For surely we must suppose the life of the blessed to be an end in itself, indeed The End: to be utterly spontaneous; to be the complete reconciliation of boundless freedom with order – with the most delicately adjusted, supple, intricate, and beautiful order? How can you find any image of this in the ‘serious’ activities either of our natural or of our (present) spiritual life? – either in our precarious and heart-broken affections or in the Way which is always, in some degree, a via crucis? : No, Malcolm. It is only in our ‘hours-off,’ only in our moments of permitted festivity, that we find an analogy. Dance and game are frivolous, unimportant down here; for ‘down here’ is not their natural place. Here, they are a moment’s rest from the life we were placed here to live. But in this world everything is upside down. That which, if it could be prolonged here, would be a truancy, is likest that which in a better country is the End of ends. Joy is the serious business of Heaven’. – CS Lewis, Prayer: Letters to Malcolm (London: Collins, 1977), 94–5. ‘God’s loving is concerned with a seeking and creation of fellowship without any reference to an existing aptitude or worthiness on the part of the loved. God’s love is not merely not conditioned by any reciprocity of love. It is also not conditioned by any worthiness to be loved on the part of the loved, by any existing capacity for union or fellowship on his side … The love of God always throws a bridge over a crevasse. It is always the light shining out of darkness. In His revelation it seeks and creates fellowship where there is no fellowship and no capacity for it, where the situation concerns a being which is quite different from God, a creature and therefore alien, a sinful creature and therefore hostile. It is this alien and hostile other that God loves … This does not mean that we can call the love of God a blind love. But what He sees when He loves is that which is altogether distinct from Himself, and as such lost in itself, and without Him abandoned to death. That He throws a bridge out from Himself to this abandoned one, that He is light in the darkness, is the miracle of the almighty love of God’. – Karl Barth, Church Dogmatics II.1 (ed. G.W. Bromiley and T.F. Torrance; trans. T.H.L. Parker, et al. ; Edinburgh: T&T Clark, 1957), 278. If these two parables teach us anything at all about repentance, it is that the whole of our life is ‘finally and forever out of our hands and that if we ever live again, our life will be entirely the gift of some gracious other’ [Robert Farrar Capon, The Parables of Grace, 39]. The Gospel is the announcement that God finds us not in the garden of improvement but in the desert of death. It’s precisely from death that we are brought home. And these parables are about coming home. They speak to us about the nature of lostness, and about the necessity of experiencing lostness if we are to experience homecoming. 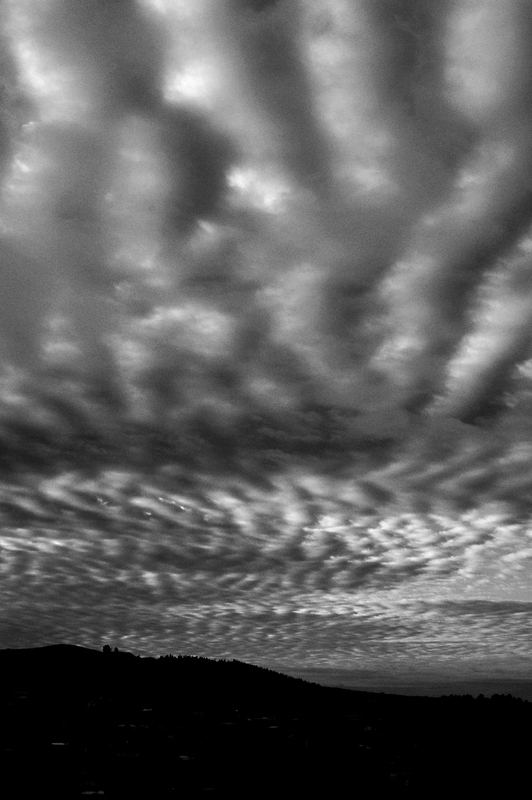 ‘Weary or bitter or bewildered as we may be, God is faithful, He lets us wander so we will know what it means to come home’ [Marilynne Robinson, Home, 102]. So they teach us something about the nature of God. And here in Luke 15 we are given a picture of the nature of God, an insight into the purpose of history, and, I believe, a glimpse of how history ends, of how your life ends and my life ends – of how the lives of those we love and of those who have made life hell for us, will end – with celebration, with a banquet, with the extravagant joy with which God welcomes the found and eats with them, … with homecoming. 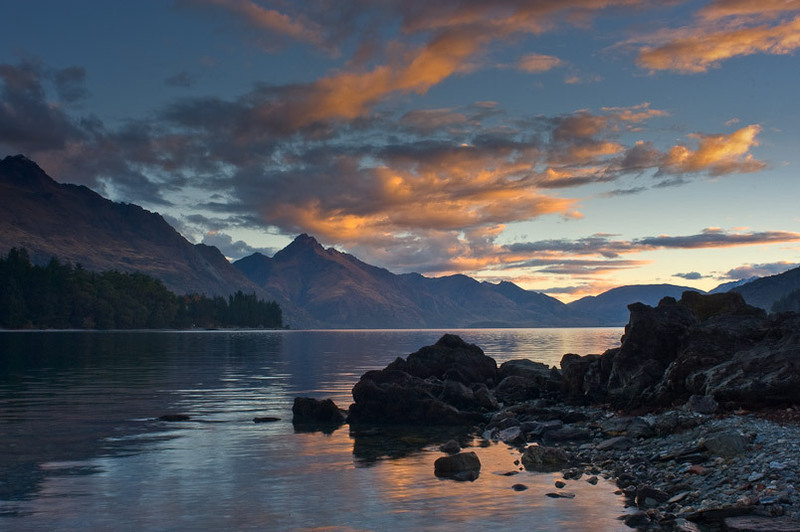 ‘The question of providing religious services for summer holiday-makers in the country was before the Dunedin Presbytery at its meeting yesterday in relation, particularly, to the growing popularity of Warrington and contiguous seaside resorts. A report submitted recommended that a tent be procured at Warrington, but this proposal did not seem to find general favour although the point has not been settled, the matter having been referred to a small committee. The Rev. 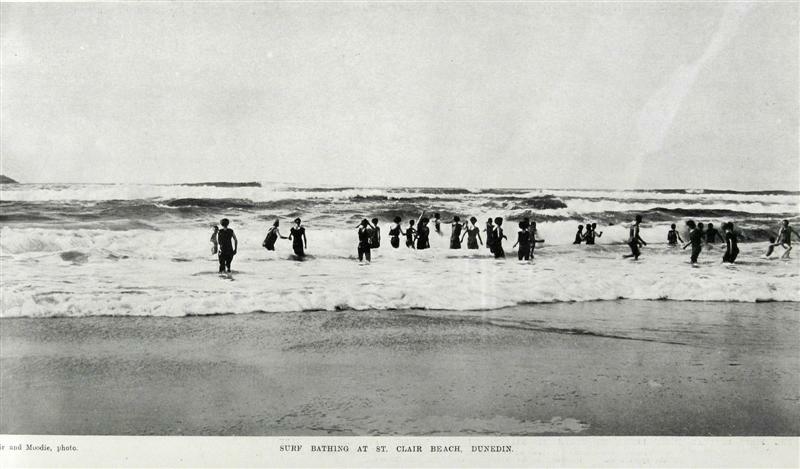 J. Chisholm said it seemed to him that more attention should be given to these seaside resorts in the future. The churches were almost empty for a few weeks in the year, and unless more attention were paid to the young people they would form habits which would doubtless be confirmed, and that would be to the injury of their church. The Rev. R. Fairmaid brought the matter nearer home than the northern coast by referring to Broad Bay and the Peninsula. A young man had told him that a kind of pagan life was lived thereby the young people who gathered for week ends. This was a deplorable condition from the moral point of view, and, so far as he understood, there was no service provided by their people in these quarters. The committee appointed could perhaps attend to this matter, too. It was pointed out by the Rev. W. Scorgie, in concluding the discussion, that there was a Methodist Church at Broad Bay and a Presbyterian Church at Portobello’. William Cavanaugh on Christopher Hitchens and the myth of religious violence. Matthew Bruce reviews Matthias Gockel’s Barth and Schleiermacher on the Doctrine of Election. [BTW: my own review of this book is available here]. Richard L. Floyd shares an appreciation of Donald Bloesch. Kim Fabricius shares a wonderful Call to Worship. Robert Fisk on ‘honour’ killings and on the pain of satisfying family ‘honour’. Ben Myers shares a note on misreading. Robin Parry (shamelessly) plugs a forthcoming book on universalism: “All Shall Be Well”: Explorations in Universalism and Christian Theology, from Origen to Moltmann. 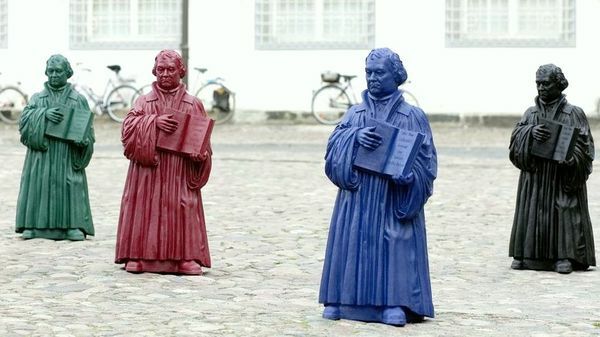 Luther is still bugging the locals. Simon Holt shares a nice prayer from Ken Thompson about pigeon holes, compartments, and other places. And Ken MacLeod offers a brilliant solution for distracted writers: ‘One of the major problems for writers is that the machine we use to write is connected to the biggest engine of distraction ever invented. One can always disconnect, of course – there’s even software that locks out the internet and email for selected periods – or use a separate, isolated computer, but I think something more elegant as well as radical is needed. What I’m thinking of is some purely mechanical device, that took the basic QWERTY keyboard with Shift and Return keys and so on, but with each key attached to an arrangement of levers connected to a physical representation of the given letter or punctuation mark. These in turn would strike through some ink-delivery system – perhaps, though I’m reaching a bit here, a sort of tape of cloth mounted on reels – onto separate sheets of paper, fed through some kind of rubber roller (similar to that on a printer) one by one. The Return key would have to be replaced by a manual device, to literally ‘return’ the roller at the end of each line. Tedious, but most writers could do with more exercise anyway. Corrections and changes would be awkward, it’s true, but a glance at any word processor programme gives the answer: the completed sheets could be, physically, cut and pasted’. BTW: I haven’t abandoned my series on the cost and grace of parish ministry. If all goes to plan, I’ll be back posting on it this week. ‘When we learn to listen to the tradition faithfully, not assuming that we already know what we shall hear, but instead allowing earlier voices their own integrity, we will inevitably be surprised by the strangeness of much what is said. At that point we will be faced with a choice: we might take the modern way of patronising earlier voices by assigning them to their “place in history”, and so pretending that they have nothing to say to us; or we might believe that to listen to these voices in all their strangeness, and to regard their positions as serious, and live, options is actually a theological imperative. Perhaps the most two obvious areas where this will be true are sexual ethics and biblical interpretation …’. – Steve R. Holmes, Listening to the Past: The Place of Tradition in Theology (Carlisle: Paternoster, 2002), 86. The upcoming issue of the Journal of the American Academy of Religion includes a review by Diane Bell (University of Adelaide) of the book Aboriginal Religions in Australia: An Anthology of Recent Writings, edited by Max Charlesworth, Francoise Dussart, and Howard Morphy (Ashgate, 2005). Bell notes that the contributors to this volumes are ‘predominantly non-Indigenous anthropologists and well-established ones at that’. 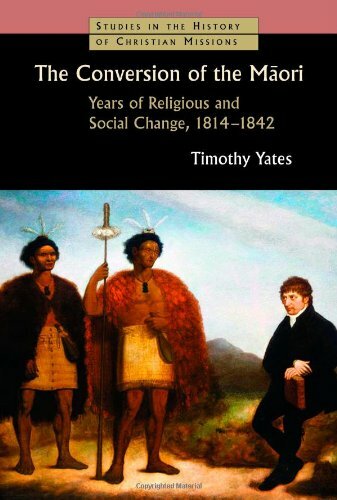 However, not a few new strands in the study of Aboriginal religion are unrepresented in the book. 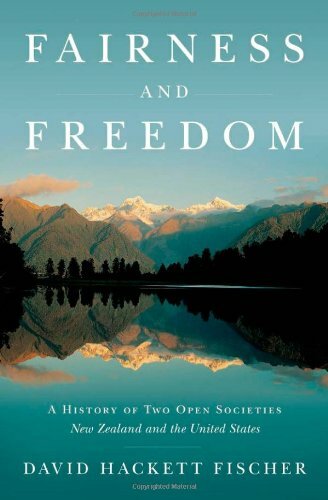 Bell states that she ‘would like to see more about the intertwining of new age beliefs and practices, eco-tourism, new religious movements, and the emergence of distinctive Aboriginal theologies—some of which have a strong social justice core and others of a decidedly evangelical nature’. No anthology – by definition – can possibly traverse any given field fully. Bell criticises this anthology with being ‘too vast’. She concludes: ‘Choices must be made. In my view, the choices made regarding the“recent writings” for this anthology give priority to old concerns. There is much that is new and challenging for scholars of religion, much that is relevant as to how we live our lives in the twenty-first century. The potential audiences for writing on religion are wide ranging. This anthology was an opportunity to address readers beyond the academy. Instead the editors have stayed very much within the lines’.